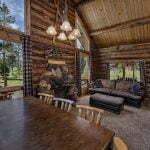 This cabin is a Redfish favorite! One of the closest to the lake, it has hosted many family vacations. 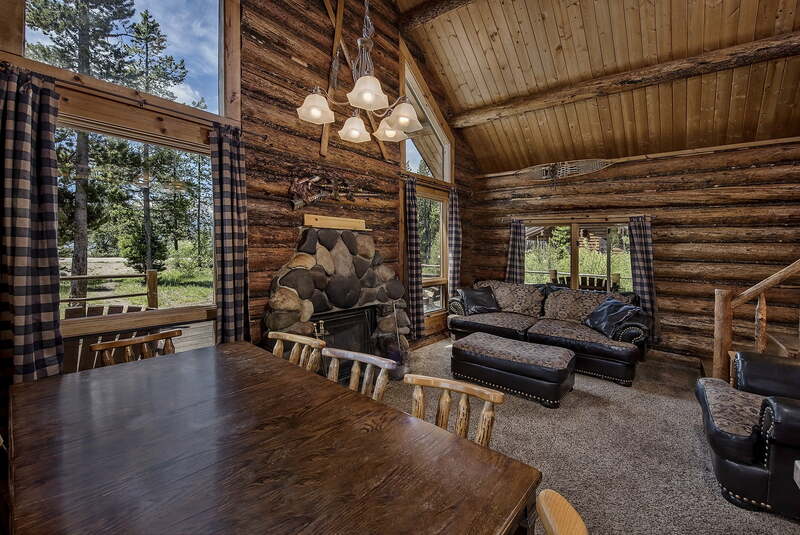 It features a living room with a queen sleeper sofa, rock fireplace, with high A-frame ceiling. 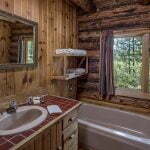 The full kitchen offers an oven/stove, full-size fridge, cookware and service for 8, microwave, coffeemaker, and toaster. 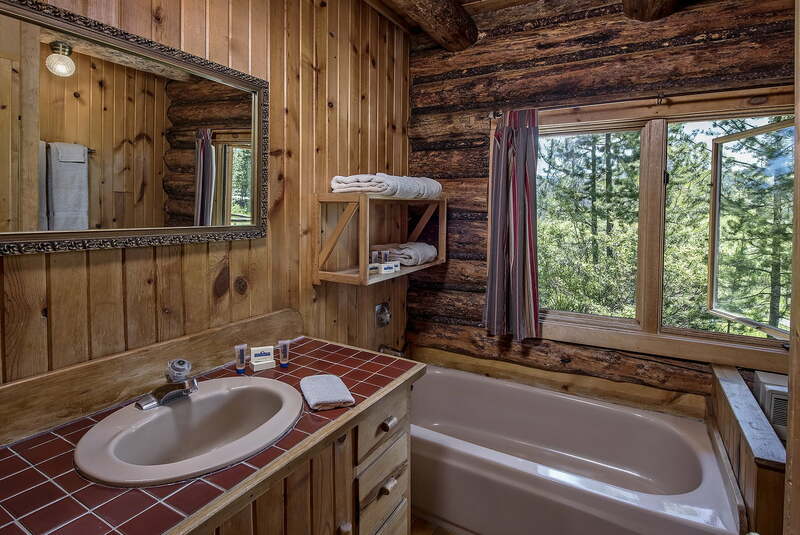 The main floor also features one full bath with separate tub and shower and one 1/2 bath, a washer and dryer, and a master bedroom. 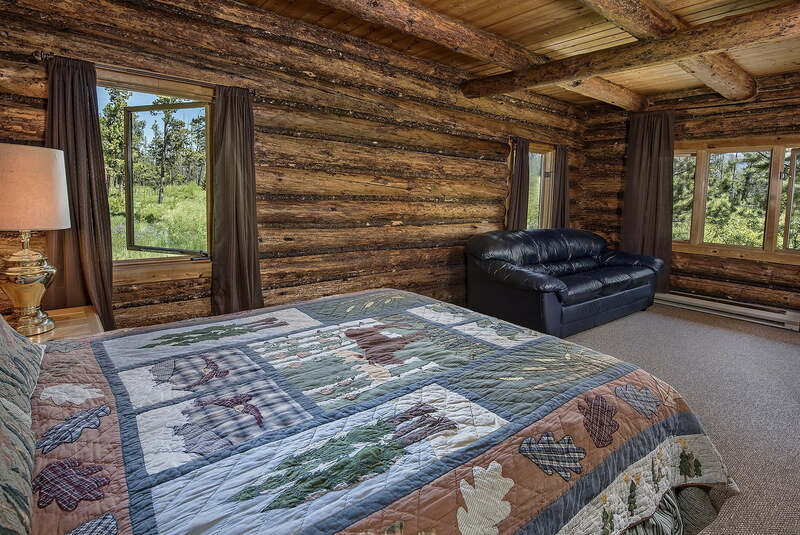 The master bedroom has a queen bed, a sofa, chairs, and a dresser. 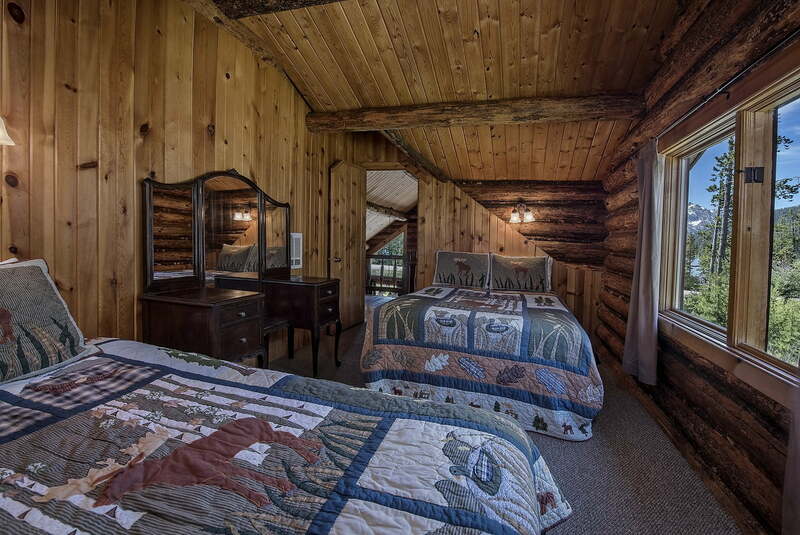 Upstairs, you will find two bedrooms each with double and twin beds. The large private deck faces the lake. Firewood is provided by the resort. *Rates are subject to increase due to seasonal demand. 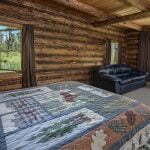 Nightly rate is based on an occupancy of 8. $10 per additional person per day. Children 3 and under free. Cribs are free. 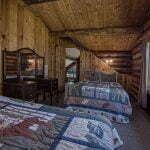 Cots are $10.00 per night.